Available now from Agilent Technologies, U1210 Series handheld clamp meters enable high-current measurements of electrical distribution cables up to two inches in diameter without breaking the circuit. 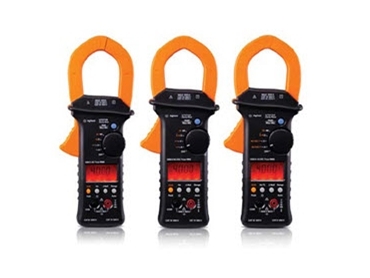 Unlike most clamp meters, these U1210 Series handheld clamp meters also include full-featured DMM with capacitance, frequency, resistance, and temperature functions to simplify troubleshooting during installation and maintenance. Additionally, these handheld clamp meters provide extra protection with CAT IV 600V and CAT III 1000V safety ratings.